2019 ABPA Fort Lauderdale Convention – Calling All Sponsors! 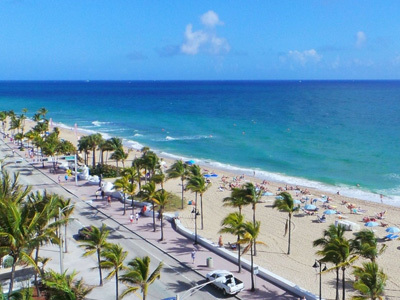 As you may have heard, the 2019 ABPA Annual Convention and Trade Show is being held in Fort Lauderdale, Florida, April 30 – May 3, 2019. Consider sponsorship for this event! As a sponsor, you would gain tremendous exposure, as this will be a gathering of the industry’s most influential leaders, and presents an outstanding opportunity to make valuable connections. Not only that, you would be supporting the ABPA, who is your advocate and voice in the collision parts industry. Sponsors have the option to exhibit with a booth during the show. Exhibitors will have full access to all convention attendees during key business meeting days, including Wednesday evening’s welcoming session, and during Thursday and Friday’s working sessions. You may also man your booth during our educational breakout sessions. You’ll get maximum exposure to industry leaders and decision makers who are on hand to discuss key industry issues and get up to speed on the latest products and innovations. Visit the 2019 ABPA Convention Page on our website for more information about sponsorship and exhibitor opportunities.